Where you sleep matters, and as environmentally friendly products are becoming more prominent and integrated into buying decisions, you should consider sleeping on a natural latex mattress. If you are like most people, you are likely to spend one-third of your life sleeping. However, it is almost impossible to achieve a comfortable and complete rest on a bad mattress. Investing in a natural latex mattress makes sense especially if you want to make the most of your sleep and wake up feeling completely relaxed and refreshed. Natural latex mattresses are safer, too, since they are not made of petrochemicals, fire retardants, and other toxic substances that could off-gas and be inhaled or absorbed by your skin, causing problems like reduced fertility, lower immune system, respiratory problems, and cancer. The material has natural anti-bacterial properties, making it very hygienic and capable of repelling insects and germs. Natural latex mattresses are more durable. They are made of natural Dunlop latex or rubber from rubber trees in sustainable forests in the world. Natural rubber has a life expectancy of more than two decades without showing signs of undue deterioration. When used in a mattress, it supports your body by following your contours, therefore preventing backaches and sore spots. The material recovers fast, too—it is similar to a memory foam mattress, except that natural latex is healthier and safer, and rebounds instantly. Unlike memory foam which works off your body heat, natural latex runs neutral Humidity will not cause the latex to expand or shrink, and long-term use will not make the mattress sag or deform. People who have allergies and respiratory issues are advised to sleep on a natural latex mattress because it naturally repels dust mites, which are known to cause problems like eczema, hay fever, and itchy rashes. 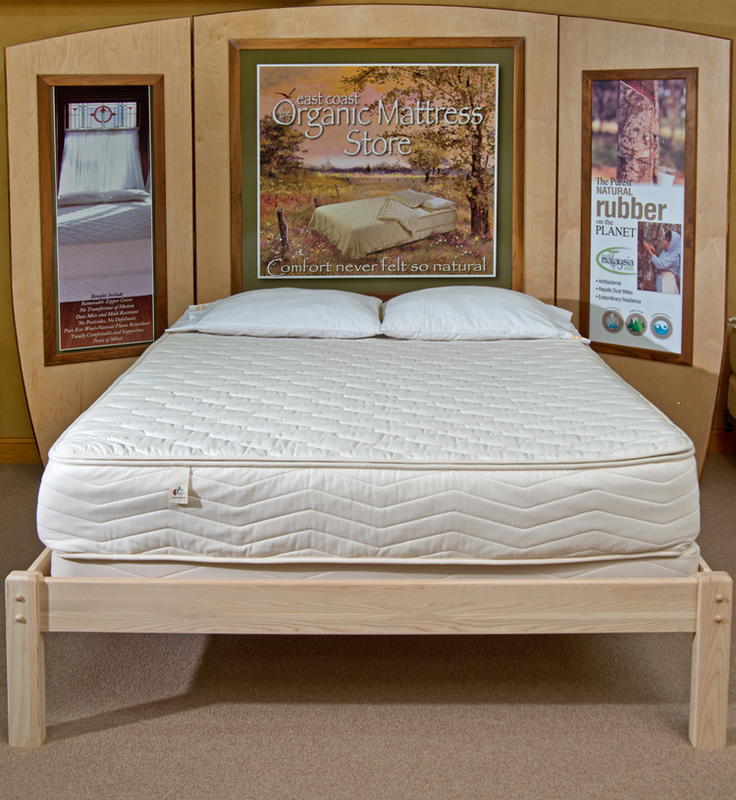 Natural latex mattresses promote good air circulation, so it does not absorb and retain moisture. If you sweat, moisture quickly dissipates from the mattress. The material does not get hot or cold, so it stays neutral, even with fluctuating room temperatures.